A career search takes so much work. Do you really need to worry about your resume header too? You don't. It's actually pretty easy to make good resume headings. It's also very important to get it right. Hiring managers spend about six seconds with each resume. Worse, a poor header can befuddle the hiring software used by many managers. That can scramble contact info and cost you golden opportunities. Do it right though, and you'll grease the rails to let you slide into the interview. Project Manager Resume Examples - See more templates and create your resume here. There's your best resume heading example. Now let's look at why it works and how to do it right. To head your resume, put the right contact info in the right order. A professional resume heading should include at least your name, phone number, and a clickable email address. 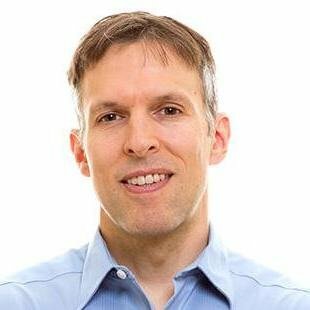 Add extras and style it right to make it easy for the manager to choose you. Don't start your resume with the title Resume. Lots of people do that, but lots of people put corn on pizza, too. The hiring manager will know it's a resume by looking at it. Here’s an example of a professional header on a resume. This resume letterhead's a great example of our builder's capabilities. Start building your resume now! 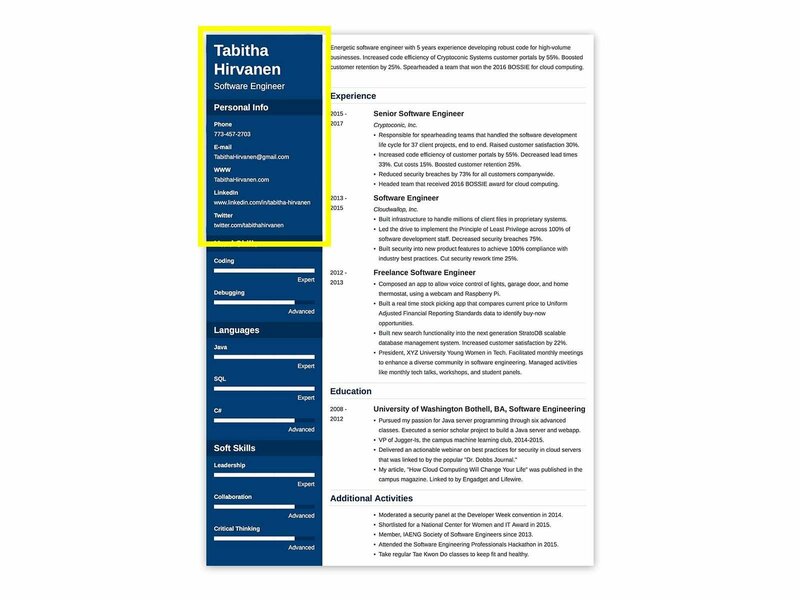 Format your resume header at the top of the page. Center it or place it in the left margin. Your name should be the most prominent item, followed by phone number and email address. Then include additional value adds like clickable social media and website links. Resume layouts vary, but contact information always comes first. Make your name the biggest thing on the page. Your name is the only way to tell your resume apart from hundreds of others. Got different names (like William, Bill, or a maiden name)? Use the version that's most searchable online. Use the same name across all online profiles you want the hiring manager to find. So, if you use "Steve" in your resume, don't use "Stephen" in your LinkedIn profile, Twitter handle, and portfolio website. It's shocking how many job applicants skip their work title. Add your title to your name in smaller font. That can be "CPA," "Bookkeeper," "Restaurant Manager," "Nurse Practitioner," and so on. If you've got a key license or certification, use it in your professional resume header. For example, "Mary Meyer, Certified Pharmacy Technician," or "Seth Arbuthnot, Caregiver, CNA." You can add your address next, though it's okay (and often preferable) to leave it off. A hiring manager may count a long commute as a point against you. You can just list the same city as the job, without a street address. If you really want to make the point, add "open to relocation" to your resume headings. If you do list your address, P.O. boxes are okay, but a permanent address is better since it looks more stable. A phone number is the #1 way hiring managers set up interviews. List the number you use most. Don't use your work phone, since it can cause trouble with your current boss. It also sends a "questionable ethics" message to the hiring manager. Email is the #2 way managers reach out to applicants. Right after your phone number, include a progfessional address. That means no PartyFuntimeBoyz23432459823@yahoo.com. Your first and last name and "@gmail.com" works great. If that's taken, add a middle initial. One email address is plenty. Just like with phone numbers, don't use your current work email. You could follow the resume header template at the top and stop there. In fact, the best resume examples do just that. But ask yourself: what should be on a resume for extra contact info? Consider these added tips for good resume name header design. They'll help you score more interviews and spend less time wondering what went wrong. You don't need a web address in your resume headings. That said, if you've got a job-related website or online portfolio, include it. It's a great way to let the hiring manager see more of your achievements. Adding a portfolio works especially well for projects that look good online. That means software engineers, architects, interior designers, and artists can all include portfolios. Over 85% of all hiring managers now use LinkedIn to hire applicants. Adding a good LinkedIn profile to your resume header can help the manager learn more about you. Make sure to personalize your LinkedIn link. Also, streamline your profile with the right photo, background image, summary, and resume keywords. Want to get at least 20 times more profile visits? See our guide on LinkedIn profile fixes here. Most job seekers shouldn't include a Facebook profile in a resume heading. Why not? Facebook can share info that can shoot you in the foot at best, and cost you interviews. A recruiter will disqualify a candidate just for showing an alcoholic beverage in a Facebook post. And yes, they look. Need help sanitizing your profile? See our guide on online presence fixes here. Modern yet professional. Create a resume with a heading like that here. To make a two page resume header, repeat the heading on the second page. That's mainly for consistency, but also to help the manager remember vital info. For example, say you list a key bit of work history on page two. 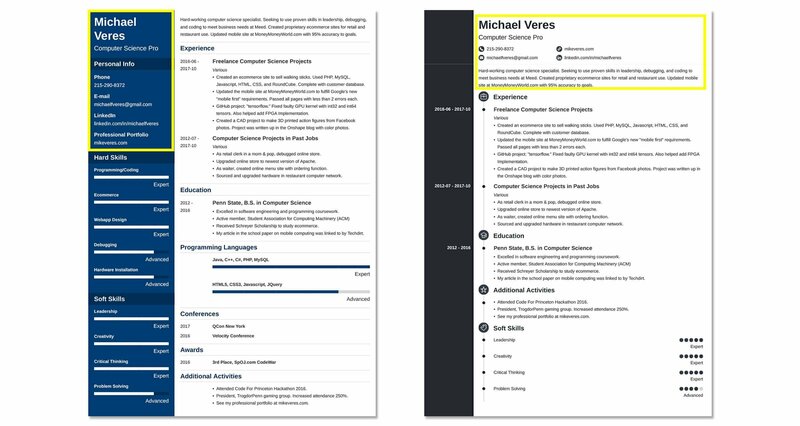 With a 2nd page resume header, you'll remind the manager, "Oh yeah, she's got an online portfolio," or, "That's right, he's got his PMP certification." When creating a heading for a resume in Word, don't use Word's document heading. Most applicant tracking software can't read MS word headers. Instead, center your header or put it in the left margin. Use large (22 point font) for your name. Put your contact info in 11 point font below. The best resume heading fonts are clear and simple, like Arial and Cambria. One last tip about good headings for a resume: proofread. You probably won't make a mistake with your phone number, but it happens. A more common error is adding a portfolio or certification that doesn't fit this job description. Pro Tip: There's no need to make a creative resume header that stands out. Outlandish fonts, colors, and designs distract from vital contact information. Show personality in your LinkedIn profile or portfolio site instead. Here's an example resume header made with our fast online resume builder. (Outlined in yellow in the image.) Want to write your resume in 15 minutes? Use our templates and build your resume here. That resume heading sample works because it keeps all your relevant info visible, but uncluttered. A good resume header is key to getting contact info past the hiring software. Make your name the biggest item in your resume heading. Then add your title and any required license or certificate. Include your most-used phone number and a professional-looking email address. It's okay, though not necessary to add a full street address. For extra points, insert a link to a portfolio site and/or a LinkedIn profile. Steer clear of adding Facebook unless the job requires social media skills. Want to know more about how to make a resume header? Maybe you have some great heading for resume ideas? Give us a shout in the comments! We love to help!